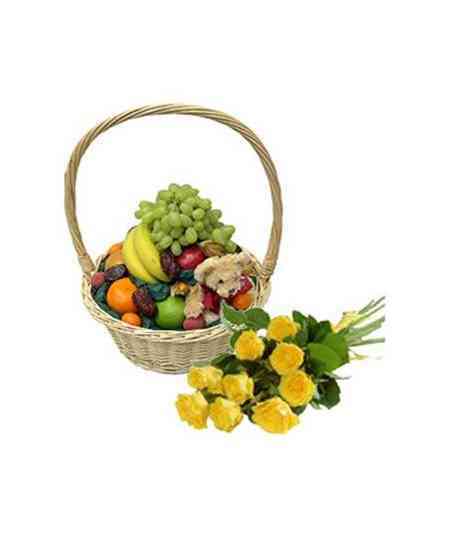 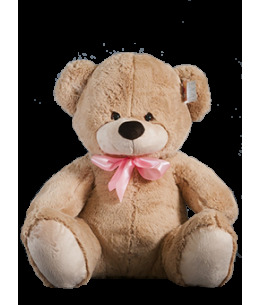 Fruit basket, teddy bear and 9 roses. 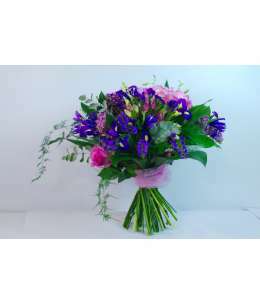 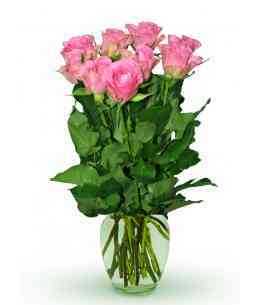 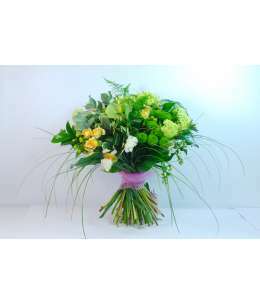 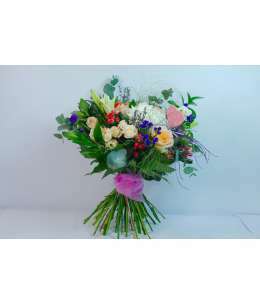 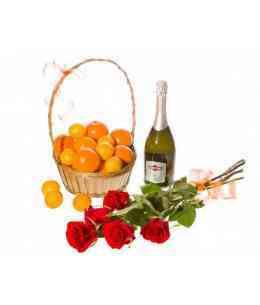 Fruit basket with oranges, 5 roses and champagne Asti Martini 0.7l. 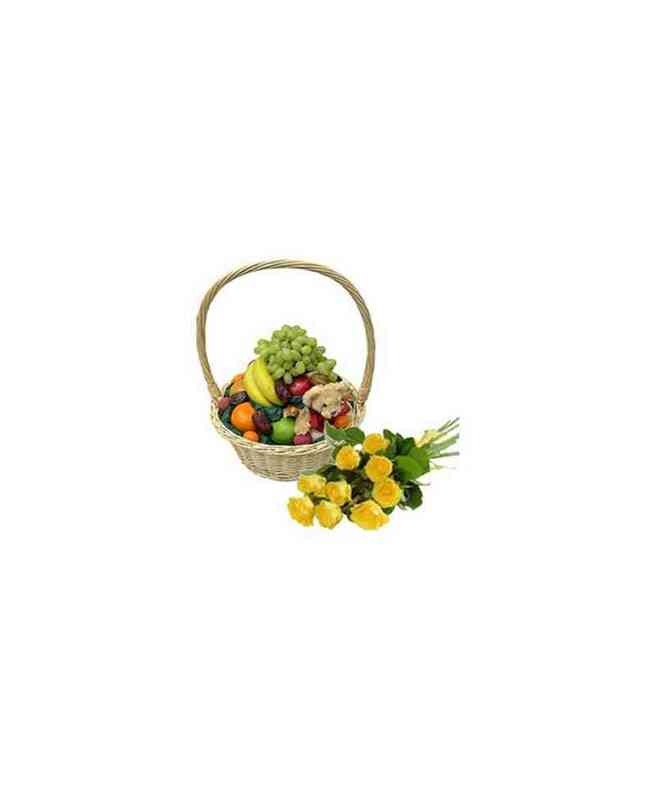 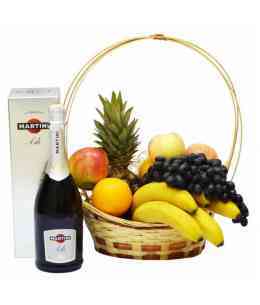 Mixed fruit basket and Asti Martini 0.75l.